Well that's the first morning done of the ONE STAMP 24hr challenge using the WALESBY HEART - there are hourly posts on the OAK HOUSE STUDIO BLOG if you would like to take a look. I've just posted about making table confetti for a wedding table or silver wedding table maybe but then decided to make a flower out of the hearts - they're just glued together with silicon glue to add a little height and finished off with a large gold brad. I used the small Walesby Heart for the vellum flower and I stamped the large Walesby Heart - twice along each side of the 6" blue card to create a lovely border. 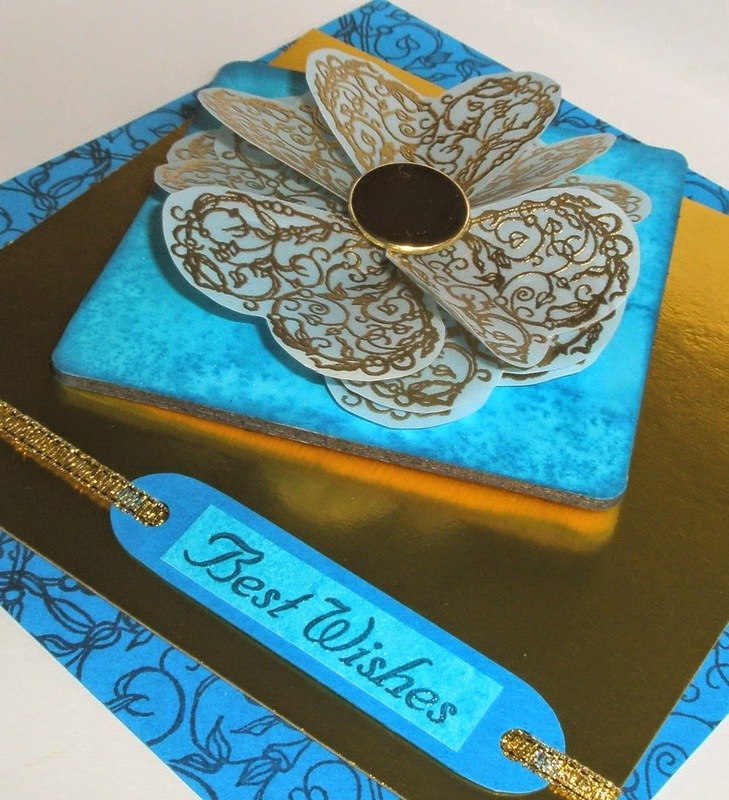 The ONE STAMP challenge is from 8am-8pm both today and tomorrow with inspirational posts every hour on the OAK HOUSE STUDIO BLOG. Leave a comment on all or any of the blog posts and you have a chance of winning an Ink Pad Storage unit. 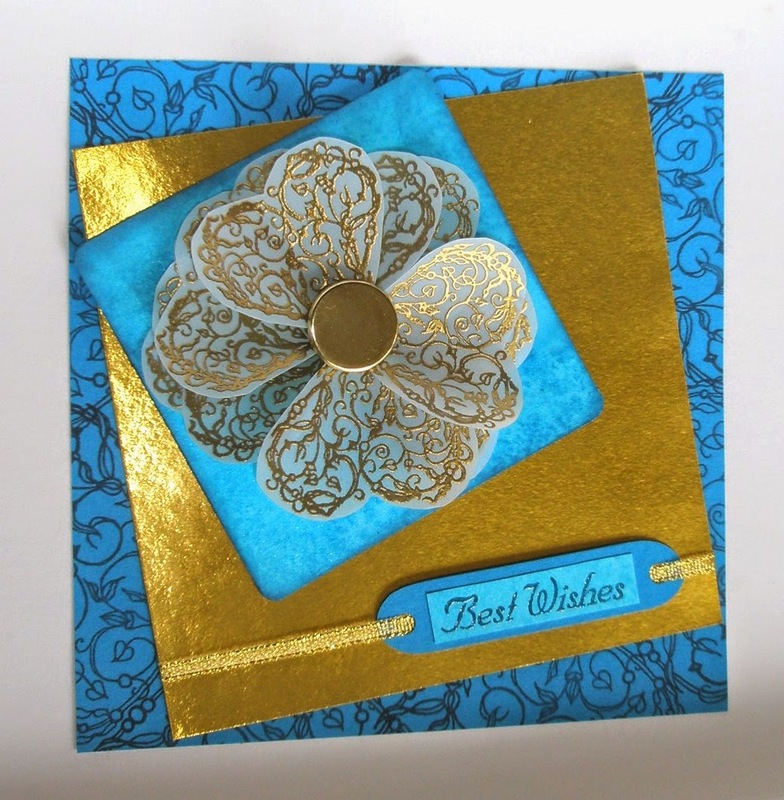 Beautiful card, fabulous colours, love the heart flower with the gold brad. Hi,very nice this turquese colour,and fantastiv this flower!! !